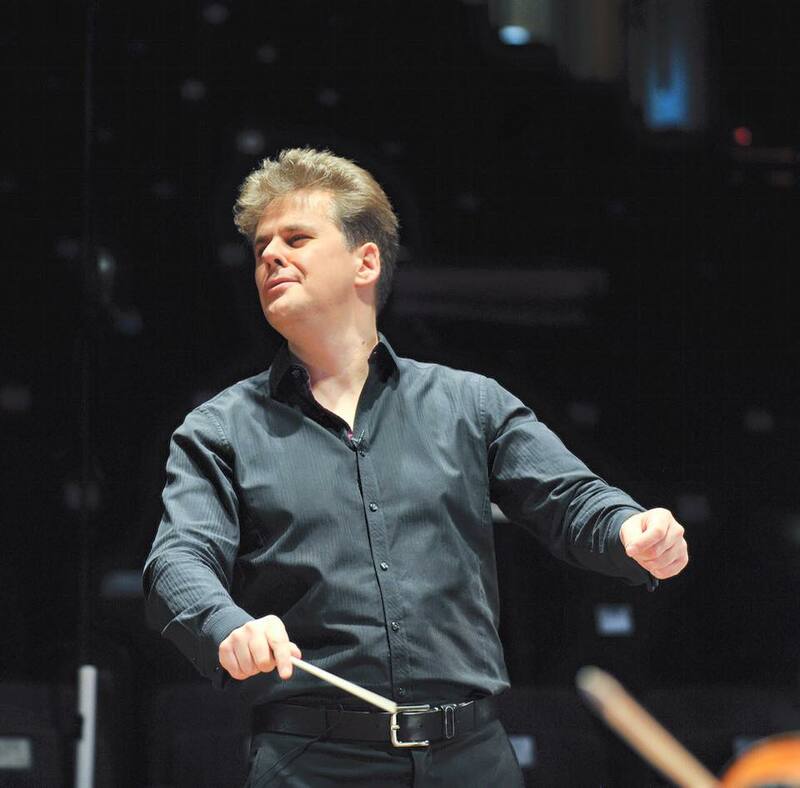 On Saturday 21st May 2016, Robin Browning will conduct the Oxford University Orchestra (OUO) in Debussy’s masterpiece La Mer and Bruckner’s Symphony no.7 in E Major at the Sheldonian Theatre. Robin is an established conductor, performer and music-educator. Praised as an “expert musician and conductor” by Sir Charles Mackerras, he is a passionate advocate for music and for the arts in general. In the interview, Robin speaks to OxStu about working with OUO, the repertoire they will perform, and his admiration of Bruckner. This the first time that you’ve conducted OUO; are you excited about the prospect of working with the orchestra and in Oxford? Very much so. I know OUO have a history of inviting fine, established conductors to work with them as guests, and it’s great to be in such good company. I felt sure it would be a strong orchestra – quick-witted, aware and flexible – even after one rehearsal this turns out to be true. I regret to say I know Oxford far less than I should – it’s only my third visit – but I hope this will change. With OUO, there’s a fairly short period of rehearsing with an orchestra you don’t know. What are the particular challenges and benefits associated with this type of preparation? In many ways I prefer it – it limits the amount of time one can faff about, and focuses the mind! I’m a firm believer that, unless you’re Carlos Kleiber, a conductor’s work always seems to expand to fill the time available. Having said that, you need good players who respond well and think enough in between rehearsals, too. It’s similar to what one expects with professional orchestras – fewer sessions, clumped together shortly before the gig. Perhaps, going on from that, what do you enjoy most about working with students? Open, inquiring minds. Quite apart from the considerable talent within the orchestra, I’ve already sensed a generosity of spirit from the ensemble as a whole. This isn’t always the case – either with students or pros. With OUO, I get the impression that every single player wants it to be a really strong performance. Arguably, the two works we’ll be performing couldn’t be aesthetically further apart. Firstly, how do you think they’ll complement each other? Secondly, what are the performative difficulties associated with moving between Debussy and Bruckner? One must take care to find the other world, to breath the “new” air when crossing between the two of them. There are enormous differences in colour and timbre, of course – but also in the way one has to breathe, where one chooses to centre the sound, and how to balance and structure chords – they must all be approached differently. Ultimately, as a conductor, I must be clear to inhabit the appropriate world and not let one bleed through into the other, and strive to bring the orchestra with me in that regard. What is it that makes Debussy’s style of impressionism distinctive for you? I think particularly the use of light. He not only finds a breath-taking array of colours, but dances with the interplay of light, pretty much throughout La Mer. Like a series of brushstrokes, his rhythmic cells, dabbed across the entire orchestra, create a constantly shifting aural tableau which is then viewed from different angles, each time with different light. It’s not just the sea he captures in La Mer – he also captures the changing light. Critics have also noted that the score of La mer in many ways anticipates those of film scores. Do any particular episodes from la mer strike you as such? Debussy resisted calling the work a symphony outright – but many since have labelled it as such? How do you think it resists or perhaps even supports such a label? From just one rehearsal with you it was clear that you have a particular affinity with Bruckner. Could you briefly sum up why that is in a few sentences? Harmony. Pure and simple. Yes, there’s FAR more to Bruckner than that, I know. But most conductors are harmony geeks (I certainly am) and he accesses parts of the brain – and heart, if you like – that few others reach. Plus there’s this naivety in a lot of it, coupled with melancholy (not quite as much as Elgar – no one’s in that league) which I find desperately touching. You mentioned a striking relationship between Bruckner and Schubert – immediately after you said that, a lot of the music suddenly made sense to me (the shifts in harmony particularly) – could you describe the effect and how Bruckner achieves this? It’s about seeing Bruckner as the natural heir to Schubert, rather than Wagner, despite the obvious connections between the 7th and his idol. Because his writing can be (superficially) so “blocky”, many interpreters sacrifice his extraordinary sense of line, and the shifts of colour and balance he creates throughout such long spans become lost. One often hears a monolithically sculpted edifice of sound. This, to me, is more suited to Shostakovich – and maybe the early Bruckner symphonies where his architectural sense is less developed. Finally, what is it that individuates Bruckner 7 from his other symphonies? Maybe it’s light – and how appropriate that is, when we’re coupling it with La Mer. He lets more light shine through this symphony than the others which surround it, and that’s apparent right from the very opening bars: bright, radiant and somehow incandescent to the symphony’s very end. OUO will perform Debussy’s La mer and Bruckner’s Symphony No.7 on 21st May (Saturday 4th Week), 8pm in the Sheldonian Theatre.